We have always been told that we are what we eat. That is because eating nutritious foods helps take care of our bodies and gives us the nutrients we need. But the same also holds true for what we drink. If you have always dreamed of having gorgeous, glowing and more youthful skin, the secret to your success lies in the bottom of your favorite glass. 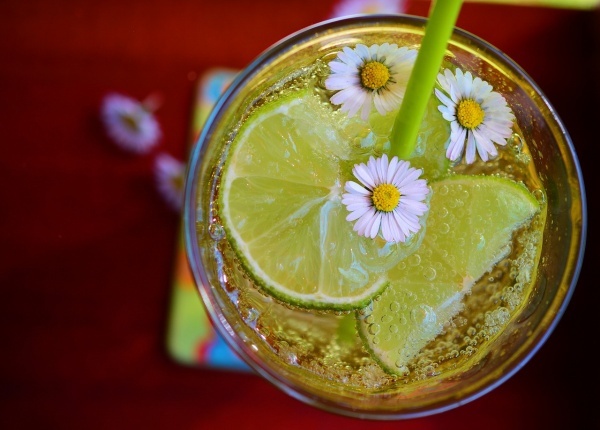 Drink up these healthy beverages for an amazingly glowing skin today. Come on, you had to know this would top the list. Water is essential for your body’s healthy function. It keeps all your systems flowing properly, plus it plumps up your skin for a youthful and gorgeous glow. In Asian culture, green tea is something you always drink. Is it any wonder then why they have such beautiful skin? Green tea contains huge amounts of catechins and polyphenols, powerful antioxidants that guard your skin from free radicals. You probably did not need an excuse to crack open your favorite bottle of red with dinner tonight, but you will be delighted to know that red wine is also full of antioxidants. And we know what that means. Plus, it helps reduce inflammation and prevents dark spots. If drinking glass after glass of water seems like torture to you, jazz it up with cucumbers. Cucumbers have potassium, silica, and magnesium, and all of these minerals are exceptional at making skin glow.Cucumber water tastes just great as well. Renew your skin’s elasticity with this tasty beverage. It has got plenty of calcium, potassium and vitamin C, the perfect cocktail for plumping up skin to perfection. Coconut water also provides some added protection from UV rays, making it an ideal summer sipper. Lycopene, the antioxidant found in tomatoes, helps to protect your skin from harmful sun exposure. It blocks cancerous cells and slows down the aging process , making tomato juice a smart choice for your morning juice. The chunky texture of this drink makes it fun. The taste is refreshing and light. And the benefits? You will be fighting off premature signs of aging and taking on glowing, radiant skin.